...Scale Down, Windsor: Kick back and enjoy Family Day. Kick back and enjoy Family Day. In light of our new February holiday "Family Day", I am going to suggest that you go out to your friendly neighbourhood video store and rent a movie. No, not just any movie. 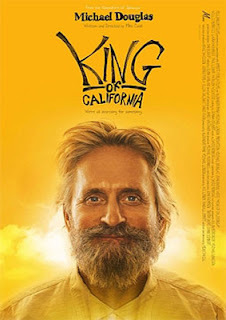 Specifically, a Sundance nominee from last year; The King Of California. In it, you'll find Michael Douglas' character deal with the fact that his childhood home has disappeared under a wash of suburban sprawl while he chases a treasure that leads him through a private golf course to breaking into and excavating under a Costco store. Sure, that's not the focus of the film, but it could have been. You'll also find a redemption-themed father/daughter tale that should delight other members of your audience, so don't feel too guilty about forcing them to sit through a "moral-of-this-story" tale. Posted by Chris Holt at 7:31 a.m.
Can anyone tell me where there is a video store downtown? I remember reading in The Star about 1/2 a year ago about a place that was renting movies but I threw the paper out and could never remember seeing where it was. The dumb part is the store is supposed to be relatively close to my house! February 18, 2008 at 11:19 a.m. It was a good movie, Dave. If you're into those quirky, idie-type films, that is. That's pretty much all I watch nowadays. February 18, 2008 at 12:17 p.m. Thanks Chris. I will certainly go there the next time I want to rent a video. I too enjoy the indi-type films so that should be a winner for me. February 18, 2008 at 1:29 p.m.